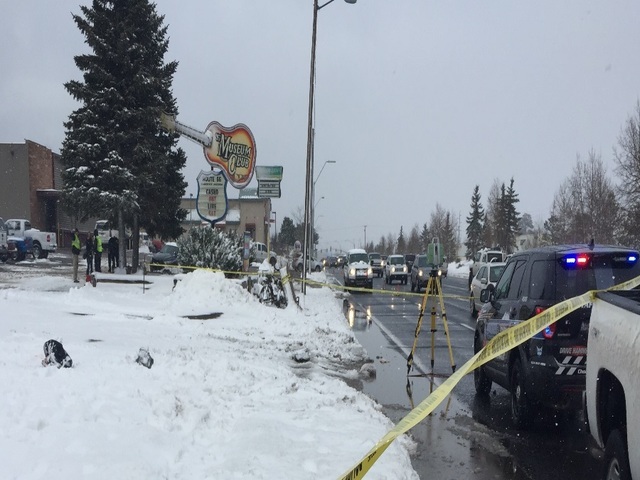 Flagstaff, Arizona—A woman—as yet unidentified by accident investigators—is in critical condition after having been struck by a snowplow near the Museum Club, near Route 66 and Fourth Street. The snowplow driver reportedly drove over the woman in a parking lot. Bystanders saw her under the snowplow and stopped the driver. Accident investigators have not yet determined whether charges will be filed against the driver. We wish the injured woman a speedy and complete recovery.